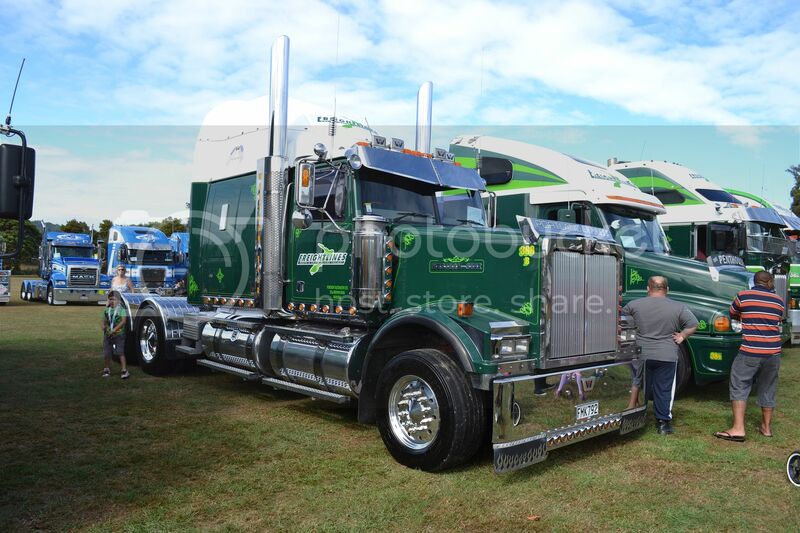 A last look at Wellington Truck Show. 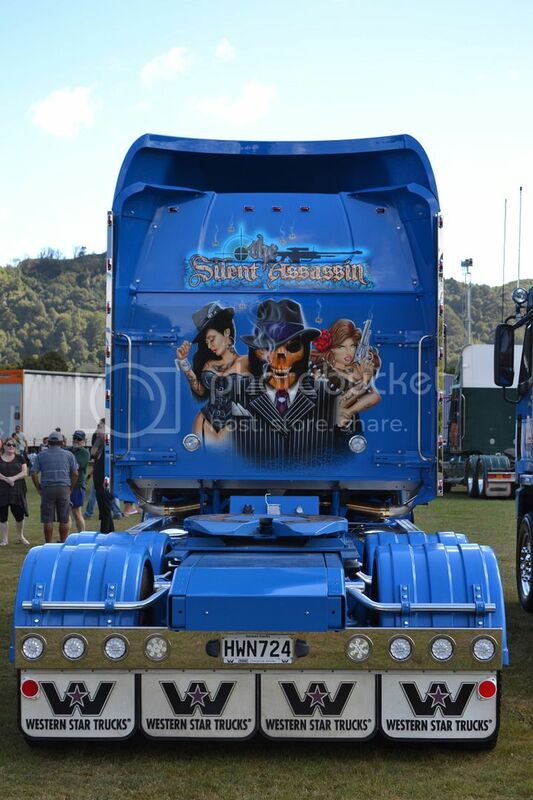 It's a pity this isn't seen with a trailer in tow. I t night discourage some motorists from making dangerous passing manoeuvres. 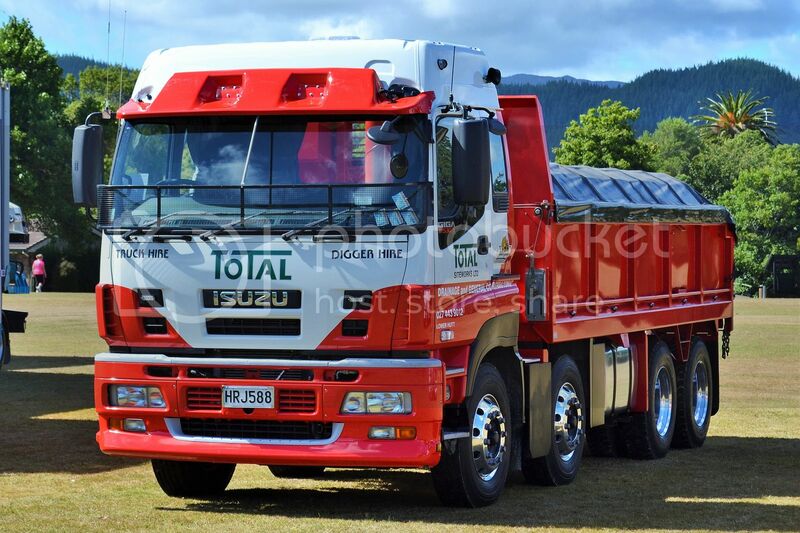 Simple two colour livery, but looks very effective on this Isuzu. 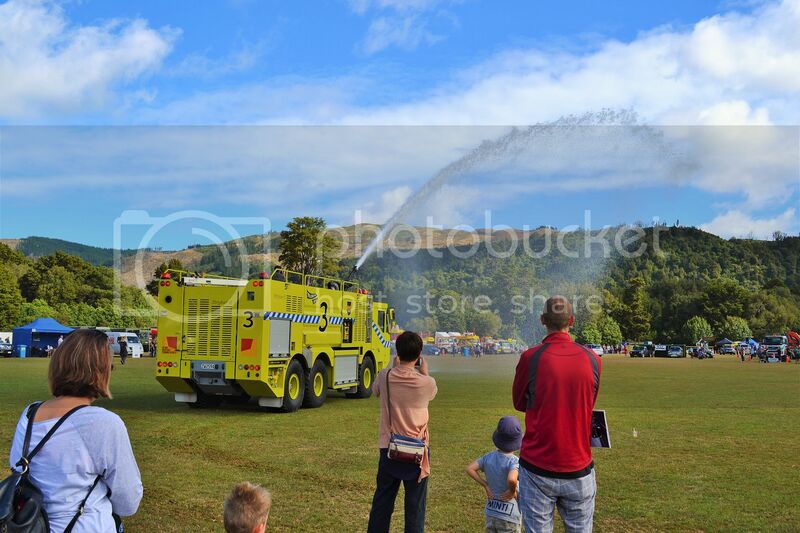 NZ built, Wellington Airport fire tender shows how far it can send water. Made by Mills-Tui, it's Stryker 6-6500. 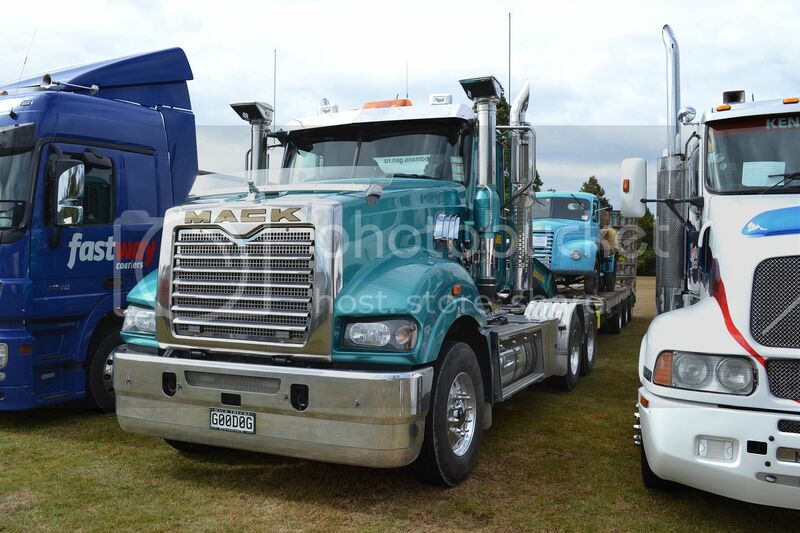 This Western Star was, I believe, the first Star with the maximum sized sleeper. Now carrying different colours than when it was new, but still wearing the "Portland Express"name. 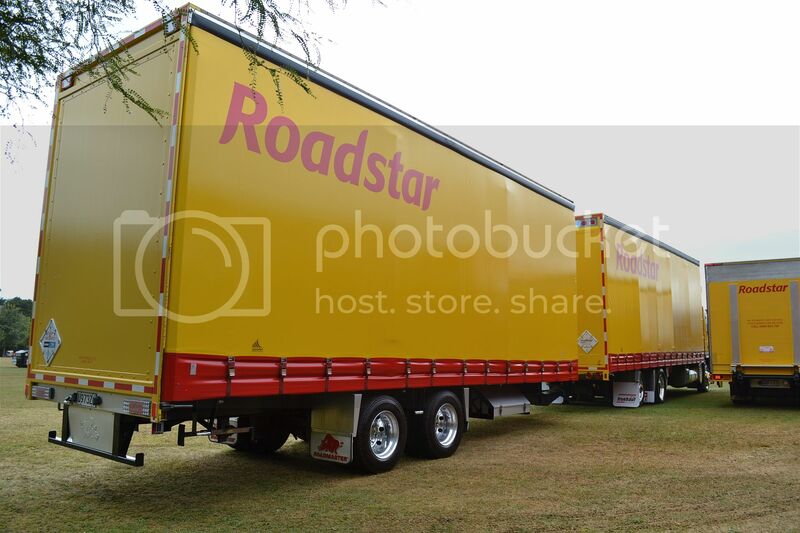 Similar concept to the European idea with only one pivot point for the trailer, but the Europeans put the hitch further under the rear of the truck so that the bodies can be much closer together and therefore much less disturbing to the airflow. 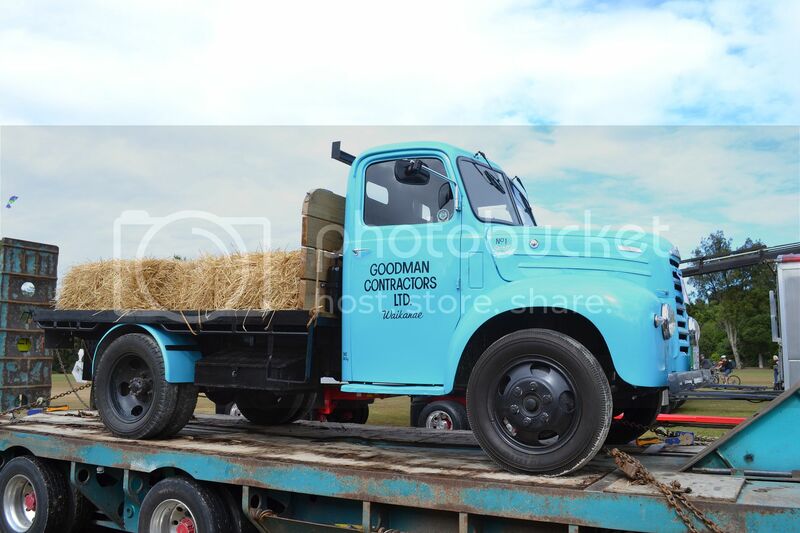 ....Thames Trader on the back. 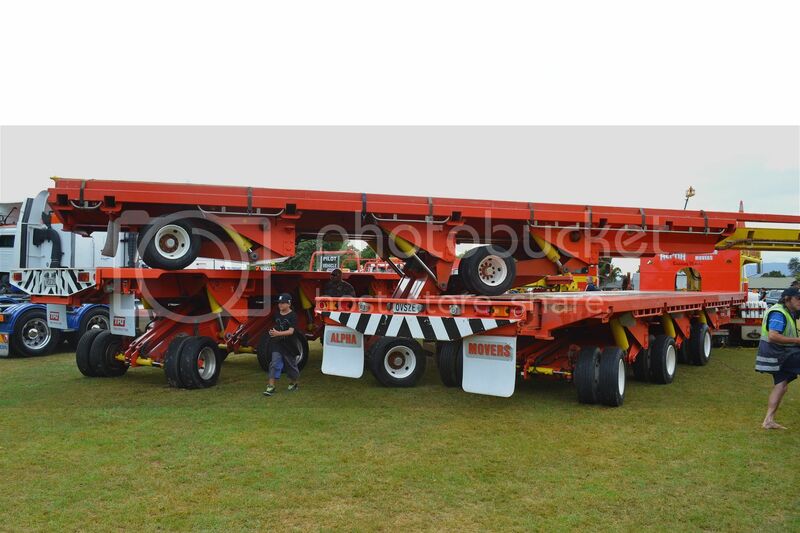 Alpha Movers intertwined three trailers to give some idea of their axle articulation and deck raising capabilities.